Jermaine Carby’s family is demanding answers after he was shot and killed last week by a Peel Regional Police officer, and is calling on witnesses to come forward. 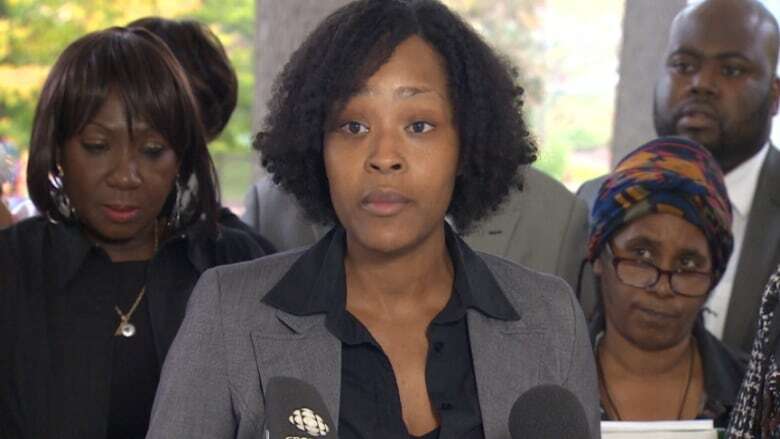 Jermaine Carby’s family is demanding answers after he was shot and killed last week by a Peel Regional Police officer and, at an emotional news conference on Wednesday, called on witnesses to come forward. "My son was a good person," said his mother, Lorna Robinson, sobbing openly. "He wasn't a bad person." "If anybody has any information please come forward because it could have been your child," she added. Carby, 33, was shot and killed during a traffic stop in Brampton, Ont., on Sept. 25. For reasons still unknown, the officer activated an emergency switch, signalling the need for backup, shortly after he stopped the vehicle at Queen Street and Kennedy Road in Brampton, Ont. Moments later, shots were fired. Jermaine Carby, 33, was once well-known to Vancouver police. One eyewitness said he saw Carby slowly walking toward officers with his arms outstretched when he was shot. Amateur video of the incident shows officers repeatedly yelling "drop the knife," though witnesses who spoke to CBC News could not say whether Carby was holding a weapon. "He so-called had a knife ... where is this knife?" asked La Tanya Grant, Carby's cousin. 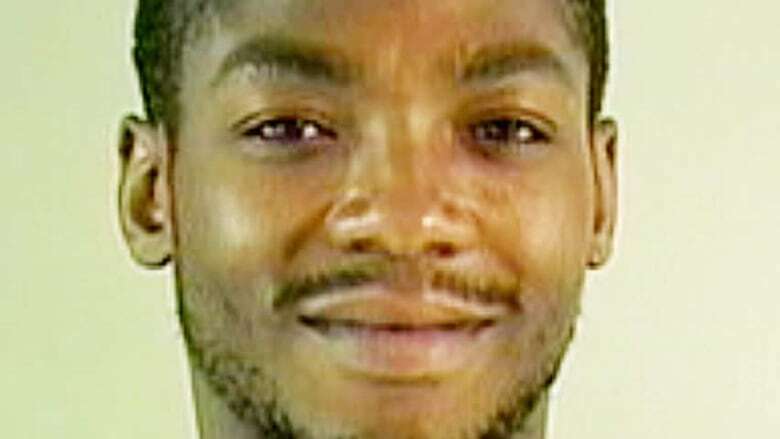 Carby was well-known to police in Vancouver, where he faced manslaughter charges in 2011. But those charges were stayed and his family has said he returned home to the Toronto area to get his life back together. "There's been a lot of talk," about his past, said Robinson. "That doesn't give anyone the right to shoot and kill him." Peel Regional Police were unable to comment as the incident is under investigation by the province's Special Investigations Unit — which probes all instances in which someone is killed or injured during an interaction with police, or when allegations of sexual assault are raised.